Britain reportedly planning meeting of foreign ministers from Europe and Arab countries with Jared Kushner. The European Union is trying to gain a foothold on the issue of the peace talks between Israel and the Palestinian Authority (PA), as the United States prepares to present its peace plan. According to reports in Europe, Britain is initiating a conference of European and Arab foreign ministers with President Donald Trump's son-in-law Jared Kushner, in which the Americans will be presented with those countries’ expectations from the U.S. peace plan. The initiative is led by British Foreign Secretary Boris Johnson, while the U.S. administration is not enthusiastic about the British initiative, the reports said. 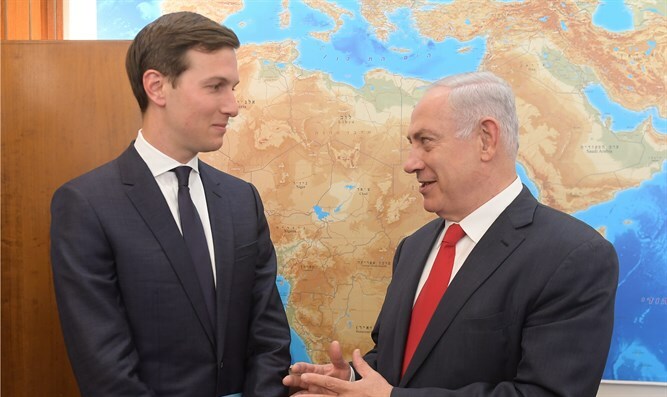 Kushner and Trump’s and Special Representative for International Negotiations Jason Greenblatt are scheduled to visit the region this week with stops in Jerusalem, Cairo and Riyadh as they prepare to present the Trump administration’s peace plan. On Friday, they met in New York City with United States Ambassador to the United Nations Nikki Haley and United Nations Secretary-General Antonio Guterres. According to a statement from the White House, the four had a productive discussion about the efforts of the United States to promote peace in the Middle East and to meet humanitarian needs in Gaza. They also discussed recent actions at the United Nations.